Lip balms are essential throughout the year, but especially during the seasons where your lips tend to get drier than usual (i.e., right now). 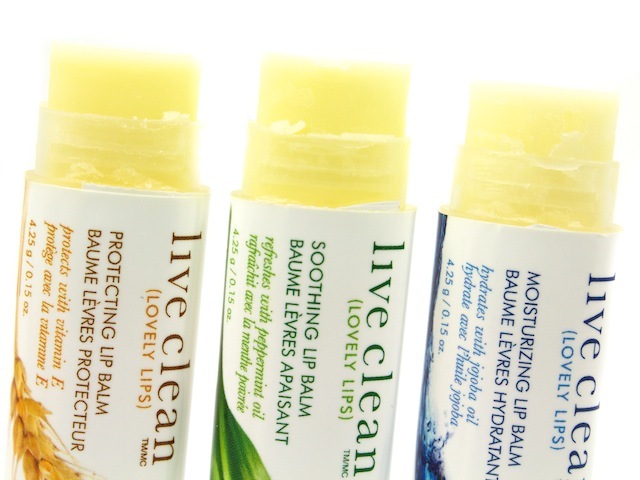 The Live Clean has three Lovely Lips lip balms would make a great pocket / purse companion to beat the blistering cold's affect on your lips. 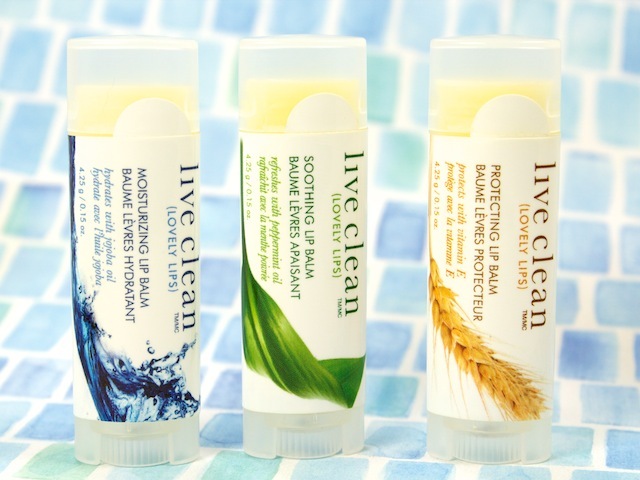 Canadian-made, Live Clean ensures that all their products are organic and only contain the best natural ingredients. On top of that, they're also cruelty free, preservative free, hypoallergenic, and dye free. If you're looking for an eco-conscious lip balm in your life... look no further. 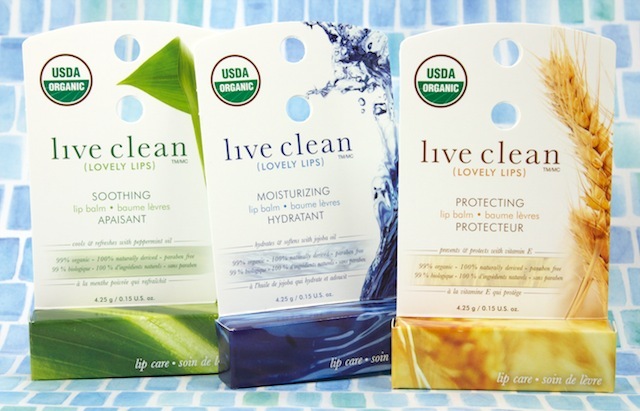 Like I said, these Lovely Lips come in three versions: Soothing, Moisturizing, and Protecting. They come simply packaged in plastic tubes. They're slim and small, so they easily fit into your pocket. They also have an oval shape to them, as opposed to the traditional round-shaped balm. They are great to use alone, or as a base for your lippie of the day. While they have their similarities, they each contain different ingredients & they perform a bit differently, too. After testing them out for the last month or so, I would say the Moisturizing Lip Balm is my favourite. It's infused with Jojoba and Avocado oil, it's the most hydrating on my lips. The Soothing Lip Balm comes in second place with it's refreshing peppermint oil. The minty feel to them feel comfortable on the lips, but to me, it's not nearly as overpowering as the Burt's Bees lip balms. My least favourite would be the Protecting Lip Balm. It contains Vitamin E, but I didn't find that it was hydrating enough on the lips. I found myself reapplying constantly. While I wouldn't recommend Protecting, I don't think you could go wrong with the other two. (*) This post contains PR samples. See disclosures here. The Perfecting one was actually my top pick! But I honestly didn't find much of a difference between the three different formulas. i'm glad to hear that these are actually different when applied. when i read the three options i thought, but shouldn't they all do that anyways? so it looks like 'live clean' really tried to make each different enough to market these qualities (though its too bad the protecting one didn't quite work out for you) but then again looking at OPI Addicts response maybe they still aren't different enough? curiousity peaked.